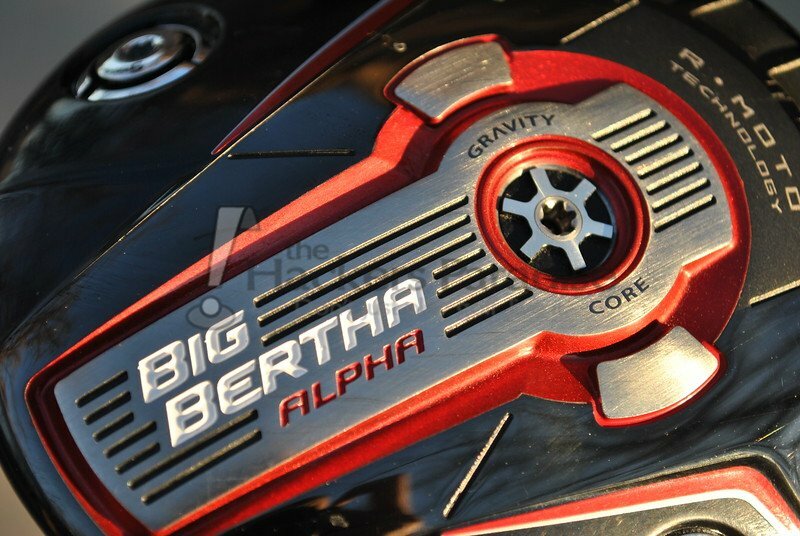 It is evident that the Bertha namesake was not simply a one year scenario for Callaway Golf, as it returns this year with not only the previously reviewed Big Bertha V-Series, but also two continuations of the Big Bertha Alpha namesake, the 815 and 815 Double Black Diamond. The big selling point to the 815 Alpha is that Callaway has found a way to give golfers low spin while maintaining performance, essentially one of the holy grails of golf fitting. THP was able to spend time testing the model to see just how the performance stacks up. The Big Bertha Alpha 815 ushers in a brand new driver category: low spin with forgiveness. Built from a deep lineup of our best materials, it doesn’t compromise. Instead of making you choose between the distance and performance that comes with low spin or the forgiveness you need to hit it straight, it gives you both in one club. 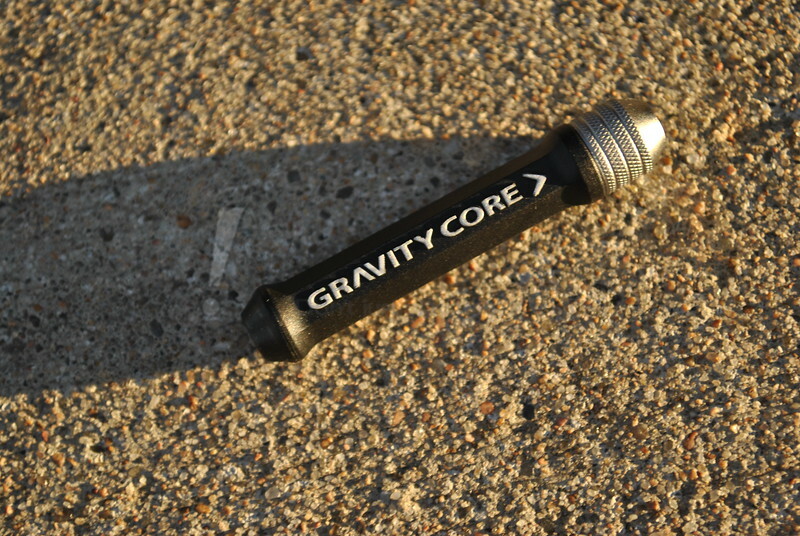 You get high speeds where you normally hit the ball thanks to the Gravity Core that helps lower CG. And we add to that low spin with RMOTO Technology for a lighter, thinner face that creates more efficient energy transfer, high ball speed and is also very forgiving with adjustability. The distance is there, the playability is there and all the multi-material technology makes this a performance driver that most golfers can and should play. With the release of the 815, Callaway is clearly all-in on their “Gravity Core” technology. 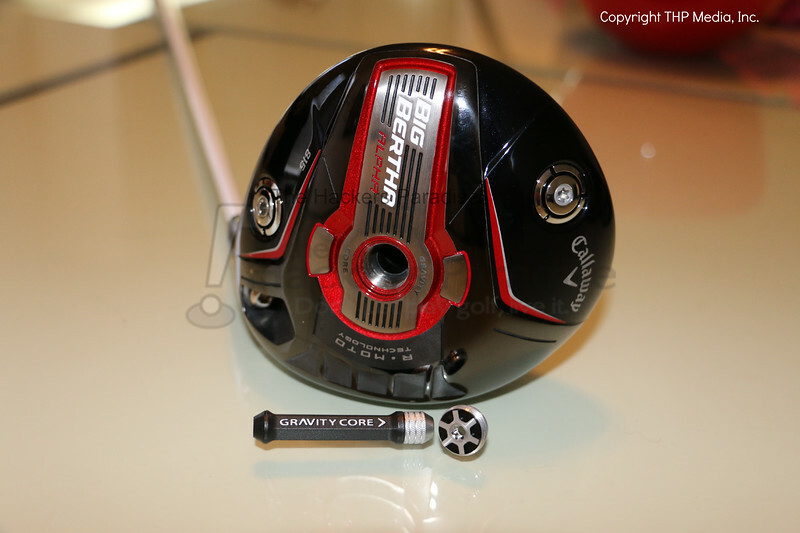 For those not familiar with it, the Gravity Core allows golfers to adjust the spin setup of the driver without altering the launch angle by moving an internal weight within the head. Prior to this, spin alterations were always linked to loft/launch-angle changes. The idea is that it will allow more fine tuning for the individual to really dial in and find a configuration for optimizing distances. 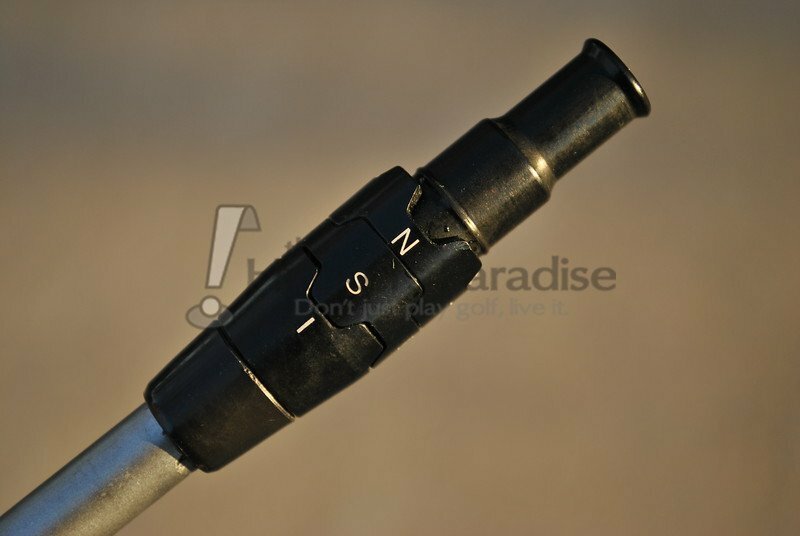 Adjusting the core is simple; just utilize the same torque wrench used for the hosel and weight adjustments on the head to remove the core cover, then set the core to weight up or weight down. Even in its second appearance within a line for Callaway it is worth focusing in on because loft is no longer the only way to change the spin rates of a head. During testing with the 815 Alpha the flip of the Gravity Core consistently showed a change of around 350 RPM for this user, nothing to scoff at as that could mean a tremendous difference in distance depending on the golfer and their specific spin traits and needs. The R-Moto face is in the opinion of this reviewer THE most intriguing technological addition to the 815 version of the Alpha. Essentially, R-Moto is the structural advance that has allowed Callaway to produce a thinner face that still maintains stability and thusly maintains higher ball speeds across the face. This weight saving also allows for a larger clubhead design while keeping overall weight down, another factor that they believe will help golfers generate speed and distance. Being that last year’s Big Bertha model was widely considered one of the best on the market in terms of ball speed retention on misses across the face, the technology to improve on that is impressive and eye catching to say the least. Though not at a new feature for Callaway by any stretch of the imagination, the 815 line marks the continued use of Callaway’s Opti-Fit adapter as well as the dual weight ports on the sole of the heads to allow more finite tuning. With the adapter, no changes have been made to the available settings and their effects, but the company has addressed the issue of adapter durability by re-working the tip that many users have had issues with cracking since the original versions. Also, those willing to acquire additional weights can now fine tune the heads heel/toe weight bias as well as aid in swing weighting after shaft changes. 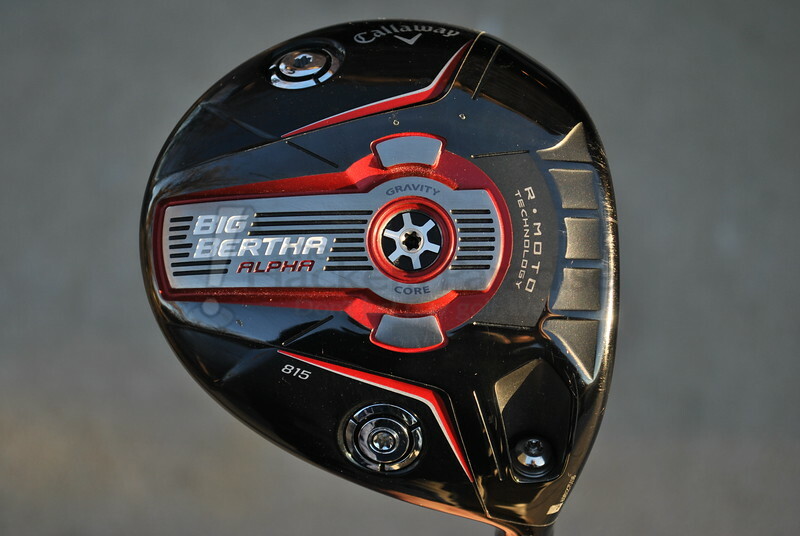 Last year, the Big Bertha and Big Bertha Alpha brought with them an aesthetic departure for Callaway, so it’s little surprise to see another twist with the 815’s. Much like its predecessors, the crown is an incredibly deep metallic navy which will appear black to most until in direct sunlight. It actually took this reviewer by surprise and all of the pictures lead to believing it was black. Additionally the topline is adorned with the standard Callaway “chevron” alignment aid. As with any aid, some will love it and some would prefer a clean topline (the 815 DBD has the clean topline). The biggest change comes with the sole of the club. It’s quite mechanical/industrial looking in the lines that it puts off with particular emphasis being drawn to the two big tech features, the Gravity Core and the R-Moto face. All told it’s a very well planned look with a mix of red and brushed metal alongside the base color of the head. Inevitably, some may find the look too busy and prefer a more traditional/simple aesthetic appearance. That said, the aesthetic idiosyncrasies and looks of the 815’s really mesh with the message Callaway is putting out there right now. It’s certainly more in your face, but keeps the focal points on the tech at hand. Overall, the head has a very nice footprint. The 815 Alpha has a larger footprint front to back than its sibling the 815 Alpha DBD as well as a more shallow face, but it’s a well-rounded setup. The face with its dark finish maintains a depth most golfers will feel very comfortable with and the shape sets up extremely well behind a ball. Clearly, people have their own face angle preferences/needs, but for this reviewer the head leaves nothing to the eye which could take away confidence. 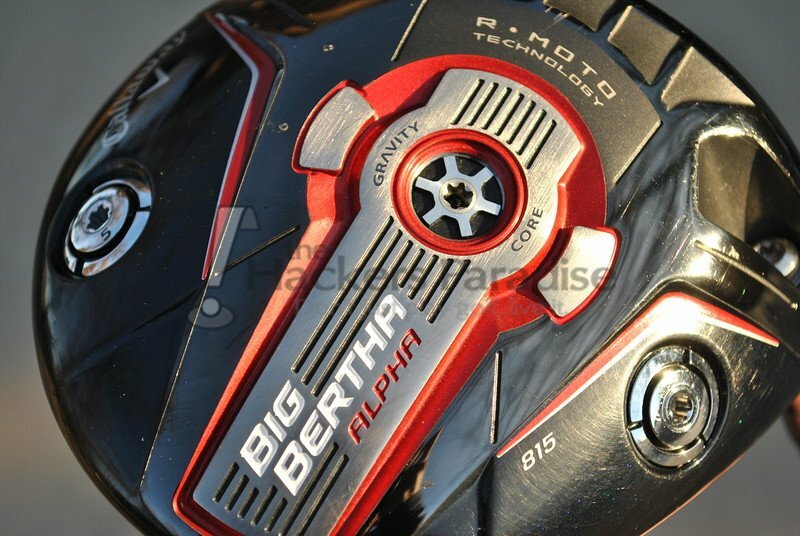 Callaway continues the use of their multi-material head designs with the 815 and this means a composite crown as seen in last year’s Big Bertha models. The sound is still a very unique one, and it has been interesting to hear how each release from Callaway has been different but at the same time very similar. Yes, composite material drivers will always be a love/hate thing for some, but credit has to be given where it is due that Callaway puts a lot into getting acoustics from their heads that will please the majority. With the 815 Alpha, the sound is a solid one with a lack of traditional composite hollowness or resonation. It was noticed as time was spent with the head that the sounds on the 815 varies much more on strikes across the face than last year’s models. Essentially, you notice different sounds toe, heel, low, and high as compared to center, yet they all are also somewhat different from each other. Additionally, core location also impacted the sound of the head, which is not surprising since it is a mass movement within the internal design. Despite the sound variances, the common theme here is the sensation that the ball is not lagging on the face. The user gets the feedback of what many would call a “hot” feeling not one of “deadness”. The 815 Alpha is paired with the 53g Speeder 565 as standard from Callaway with the intentions of optimizing launch angles and spin while also providing a weight and balance which will appeal to many amateurs. However, they also have realized that some are more particular about their needs/wants in a setup and are offering over 10 other shaft options at no upcharge. A very interesting move, and one that we hopefully begin seeing more of. During testing the head was put to work with three different shaft options which ranged across the spectrum of weight, spin, and launch. No matter the pairing, the launch of the 815 Alpha was the biggest surprise each and every time. 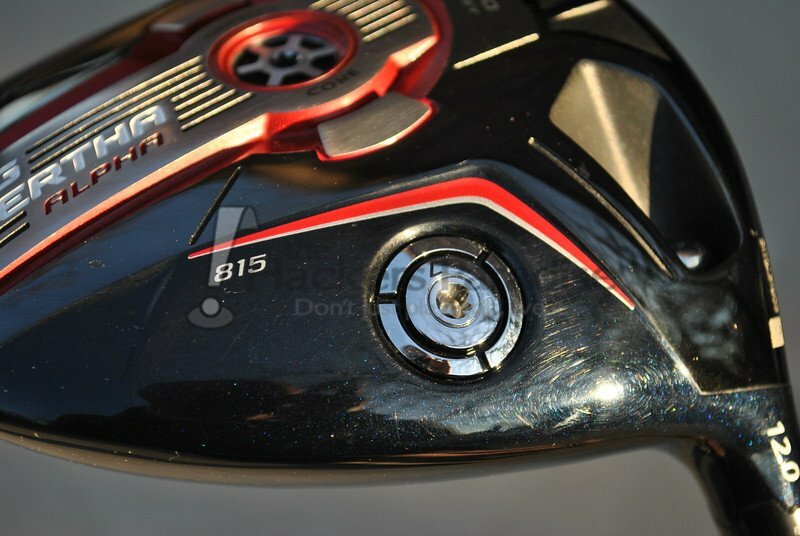 For this reviewer the 815 launches considerably higher than last year’s model in the same loft/shaft configuration, and beyond that did so with a noticeable drop in spin comparatively. This lead to a consistent penetrating ball flight that really seemed to accelerate to its apex. Many simply expecting what they saw with the Alpha last year will be undoubtedly surprised with the launch angles they get off of this head. Two things should be noted here however. First is that the head is not what this reviewer would classify as a LOW spinning head. Yes there were absolutely spin alterations based on core location, but it still situated the head in more of a low-mid range. Secondly, the core location has an absolute impact on ball flight, as misses high on the face were met with better performance core-up, and misses low when the core was down. This is not all that surprising when one thinks about what moving the mass in a head will do, but its still certainly worth mentioning in review. As mentioned earlier within the review, Callaway has garnered quite the reputation for their driver face technology as far as ball-speed retention across the surface (forgiveness) is concerned. This year they have made changes to their formula with the introduction of what they call “R-Moto Face Technology”, which basically allows for a thinner yet more stable face. Testing showed that the R-Moto design certainly has some serious merit to it. 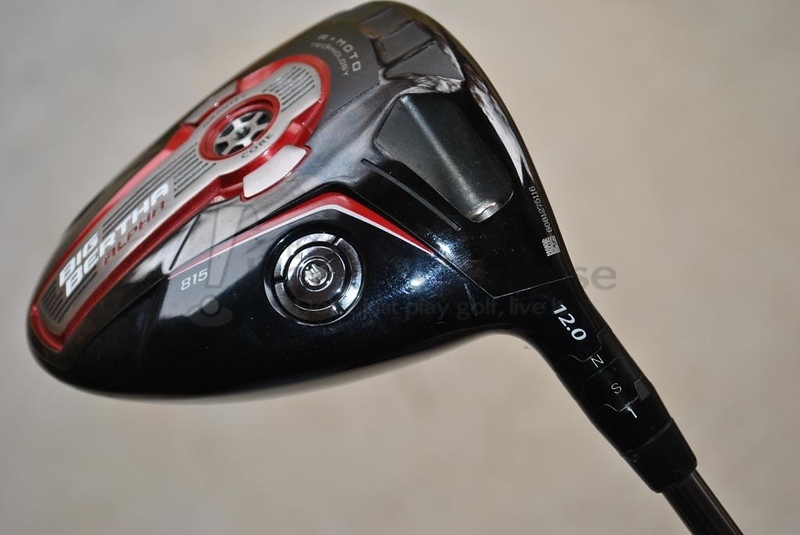 Ball speed retention numbers in the 815 Alpha were on average 3-4 MPH better for this reviewer compared to the standard Big Bertha from last season on misses heel, toe, high, and low. In terms of the low/high miss, the effectiveness changed based on the core location. However, heel and especially toe side did not falter no matter the core setting. In fact, the Big Bertha 815 Alpha tested incredibly well on lateral misses. An improvement on the original Alpha was expected, but an improvement on what this reviewer felt to be the best lateral miss driver last year (Big Bertha) certainly was not. Many times balls struck quite off center surprised by not only the line that they kept, but also the total distance it maintained. The overall distance on center strikes also showed an improvement on previous models. Ball speeds and smash numbers for this user’s particular swing were very good. In the end the head seems to really offer a package that could appeal to a wide range of golfers for the mix of spin, forgiveness, and distance it achieves. In the end though, fitting will be the key, as it always is. Though not necessarily the combination of forgiveness with super low spin some of the advertising may make it out to be, the 815 Alpha has certainly brought a level of forgiveness to a lower spinning head that has not been seen within their lineup to this point. The 815 serves as a well-rounded driver that now makes that “Alpha” moniker into a playable head for a much broader margin of golfers. Callaway has designed a solid release here, and while it will always come down to personal needs and fitting, it is no wonder they are as all-in on the 815 Alpha as they are. 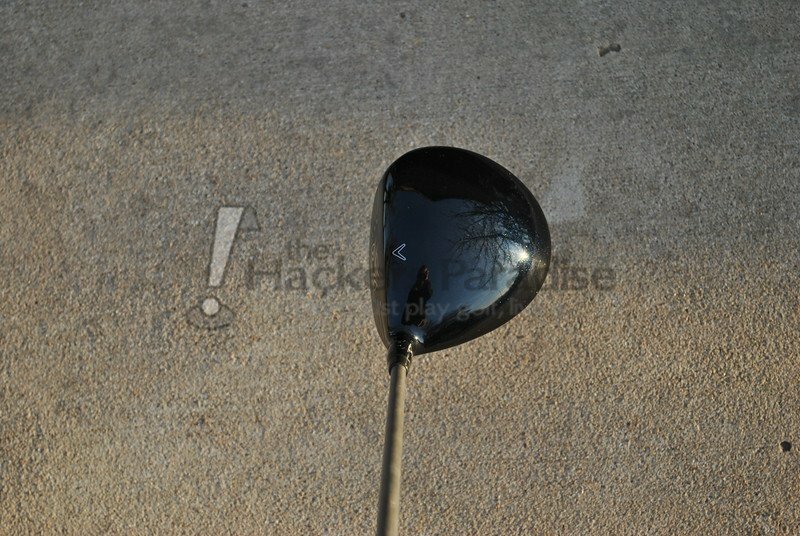 The Callaway 815 Alpha driver comes with an MSRP of $449.00, More info on it and the rest of the 815 line can be found at www.CallawayGolf.com. Join us in the THP Forum discussing this driver right here. Another great Jman review! I definitely need to try this, with the higher launching and the huge selection of shafts at no upcharge, this is definitely on the radar. Phenomenal review James! Every aspect of the driver was nailed! Great review James…I will be getting one of these before long. Well done James. Alot of info packed into that review. Great review James. I really want to hit this driver. Hitting 2014 Alpha now, but would love to have the forgiveness from the 815. Excellent and apparently unbiased review containing useful info the average golfer can understand and appreciate.